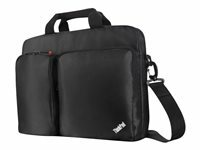 ThinkPad 3-in-1 Carry Case FamilyThe ThinkPad 3-in-1 Case offers lightweight protection in a unique design. This case can be easily transformed from a top loader to a shoulder bag or to a backpack. Additionally, it offers customised protection for your ThinkPad at a great price.